Pearl’s original PowerShifter Eliminator was a giant leap ahead in bass drum pedals. The world’s only pedal featuring the patented Interchangeable Cam System, Eliminator’s virtually unlimited tunability lets the player lock in totally personalized feel, power and speed. 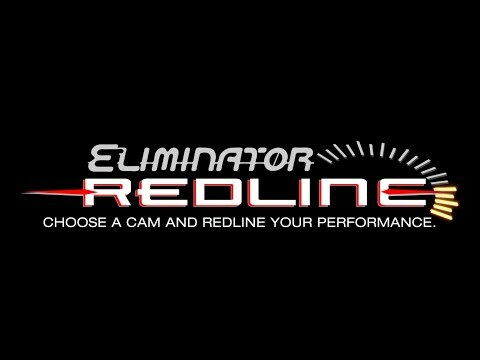 The Eliminator: Redline is the next step forward. Like having four pedals in one, Redline fuses the stunning power and flexibility of the original Eliminator with the fluid speed of our Demon series pedals. With a host of radical improvements, Eliminator: Redline helps unlock perfect feel by locking in a cam, further pushing the boundaries of bass drum performance. The P2050B is also available in a chain drive model, the P2050C. The P2050 and P2052 Redline Series Pedals come with Custom Carry bags. It is also available in a Double Pedal Complete Left-Footed Set, the P2052CL Chain and the P2052BL Belt versions. The P2051 Conversion Kit makes your existing single Eliminator into the left auxiliary pedal in a fully-functioning double pedal (right-handed only). P2051C Chain and P2051B Belt versions. The P2052B is also available in a belt drive model, the P2052C. The Redline Series Pedals come with Custom Carry bags. Purchase Pearl Eliminator Redline Belt products online!